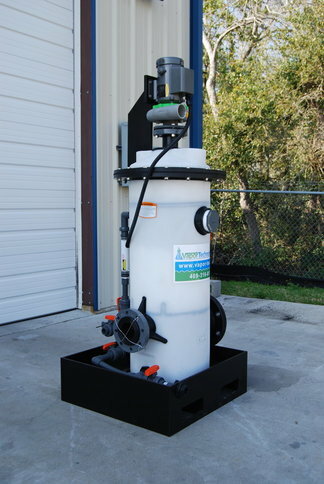 Vapor Tech manufactures a complete line of poly scrubber systems. Poly systems typically are used in applications where corrosive vapors are present. These systems are 100% poly which greatly limits the possibility of corrosion. We offer many materials such as polyethylene, polyproplene, PVC and FRP systems. The applications for these systems are very broad. From small lab scale systems to large vapor abatement/tank cleaning systems, Vapor Tech has the ability to customize a system to fit your needs. 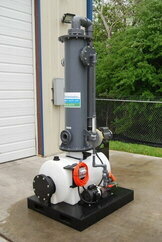 We also have a complete line of poly rental scrubber units if you only need a system temporarily. Below are a few examples of common systems which we currently manufacture. However, we specialize in custom units tailored to your specific application. Contact Vapor Tech to discuss your custom unit today! Contact us today about Micro Vapor Scrubber Systems! Our popular micro scrubber with Storm 10 poly blower capable of up to 130 CFM. New for 2016! Smaller footprint but with more capacity and efficiency. All-poly micro scrubber designed for corrosive applications. Single column unit is excellent for airstreams up to 125 CFM. 100% corrosion-resistant construction. Many options available. 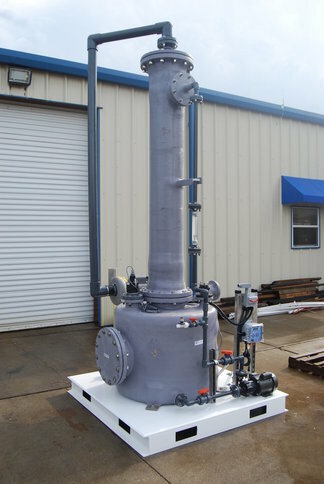 The PPT-24 is an all-poly packed column vapor scrubber designed for corrosive applications. 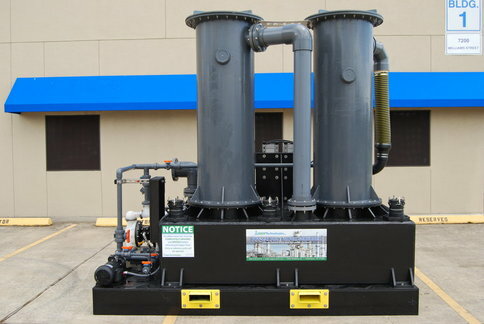 Larger scrubber for higher flow rates (up to 350 CFM). All-poly construction designed for acids and other corrosive applications. 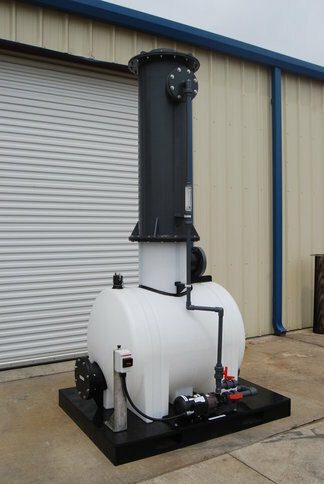 Skid mounted poly vapor scrubber system designed for corrosive applications up to 1250 CFM. 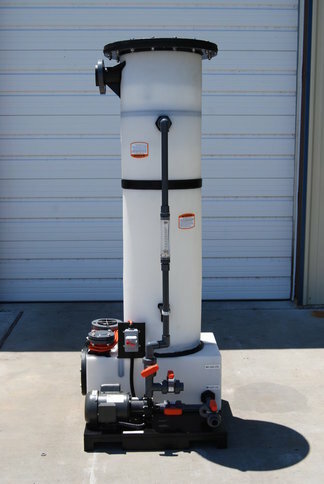 FRP vapor scrubber with 200 gallon solution reservoir and 12" x 7'H tower. Heavy duty construction with a life expectancy of 15+ years.